*Update 2016-Welcome Pinterest friends! Over 1100 repins! I'm glad so many of you are finding this idea helpful. The principal I gave this gift to seemed to really like it. I finished my bachelor's degree and am a real teacher now! For more teaching related ideas, follow my Learning Time board on Pinterest here. *Zucchini Summer Blog is an Amazon Affiliate. Links may be affiliate links. Full disclosure here. You all know I'm plowing through the last semesters of my elementary education degree. This semester I was in a Kindergarten classroom. My time there is done and I wanted to do something to thank the principal for allowing me to be in her school. *I did a gift for the classroom teacher too, that will be a post later! * Here it is! 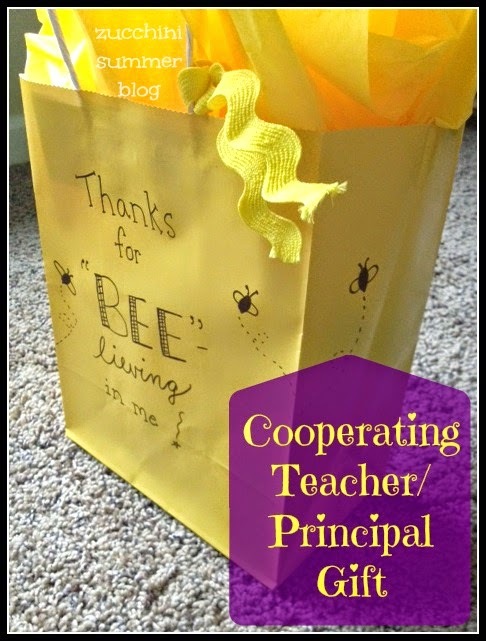 Obviously preservice teachers could use this gift idea for their cooperating teacher or principal, but it also works for lots of other gift recipients. 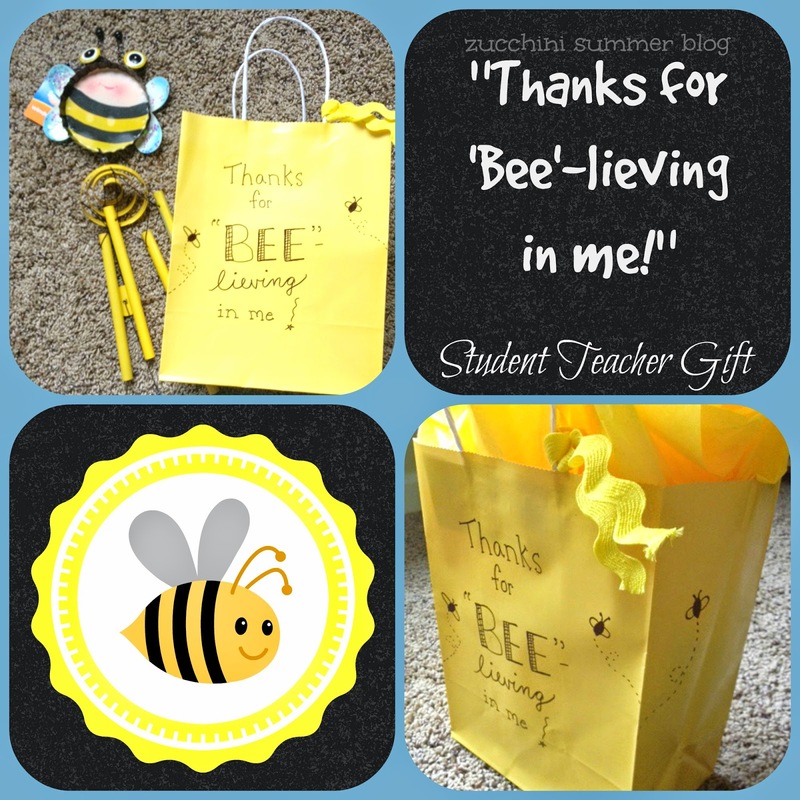 Piano teacher gift from their student? Dance coach gift from the child? Cheer coach gift from the squad? 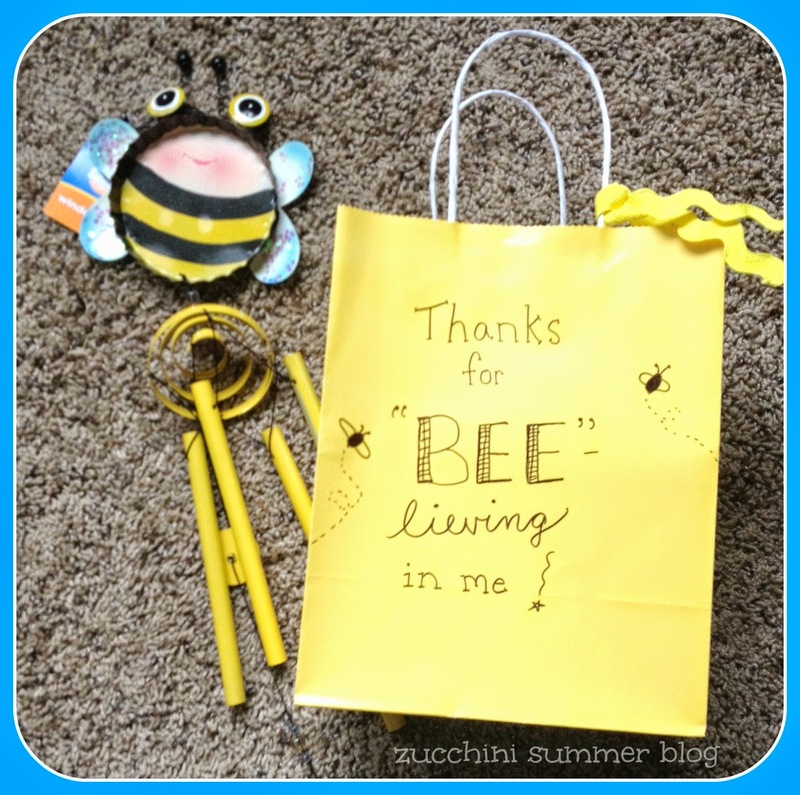 Add some sharpie-drawn lettering and bumblebees, a twist of ricrac ribbon (Target gift wrap section) and some yellow tissue paper, and this gift is ready to go! That is such a nice, encouraging gift. I am sure your principal loved it. So cute! I love your ideas Tammy! Pinning! 40 Snacks for the letters "E" and "F"